Did you ever that it would have been great if you had a USA based phone number ? It may be cause you have to make frequent calls to your clients, friends or family in USA or it could be for your virtual office, which is just like having an office at a place without anything in actual. Today there are services like Skype which let you have a virtual number almost in any country, but for that you have to shell out heavy money from your pocket. Well if this is not what you want, Geek Upd8 have a wayout for you, such that you won't have to pay a single penny and you will get a personal USA based phone number. Ques. Do you know you can use this US based number to have a Google Voice Account ? 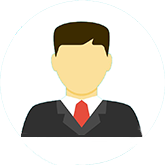 Today after following the procedure here on this page you'll be able provide a local US based number to your US clients or family members. And the good thing is you'll get lifetime incoming facility at no cost (IPkall needs you to receive atleast one call in 30 days to keep up the service going on smoothly, which should not be a big deal). We tested lots of services that can help you get the target, but the combination that we found best is using iPkall (US based VOIP compatible number provider) , Tpad (VOIP service), Nimbuzz (VOIP client). Now as i said you can find lots of other services that are doing same as the above listed services, but personally i found these best and working 100%. Still providing you the list of VOIP services, so that you don't have to search for them in any case. This much services are more than enough, but believe me you wont have to go for them. So lets move on and see what you gotta do next. 1. First of all, visit Tpad registration page, anyone from any part of globe can register for a free account on Tpad website. So, just fill the form as shown in the image and get your Tpad number. Remember you can make free calls using Tpad alone as well to other Tpad users, no matter wherever they are using any voip client, even Tpad provides their own softphones for your pc or mobiles. 2. 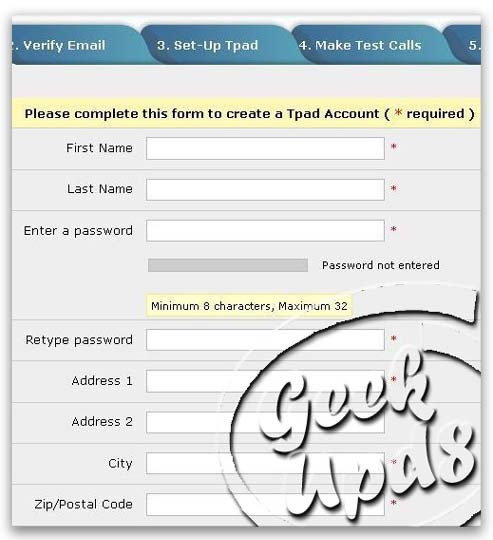 Now that you got your TPad number, login to your TPad account to make the service work for you. 3. The next thing is getting the software, the VOIP client, that you are going to use to receive the calls coming to your number. Here, in case you want the freedom of receiving your call on your cell phone (it should be a gprs enabled handset), i would recommend you to download Nimbuzz for your phone by visiting at http://m.nimbuzz.com from your mobile, which have all the required functions that you would require ahead. 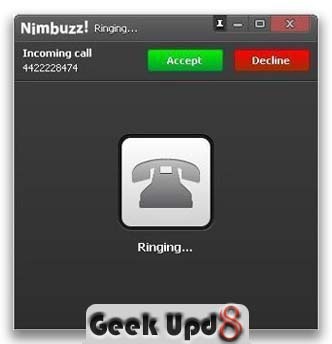 Nimbuzz do have windows/mac client which you can use to receive calls on your laptop. You can visit http://www.nimbuzz.com to get them. Besides that as i said above you can download Tpad softphone as well. 4. Now to be able to receive free calls on your Tpad number via Softphone or Nimbuzz you would to configure them to make them work. It won't be hard with the settings given below, rather it would take just few seconds. Use the settings below to configure your Tpad softphone. Setting up your Nimbuzz client is much easier as shown in the image below. The following screen shot is of the pc based client, once you have configured your pc/mac client you won't have to reconfigure your mobile client. So, anywhere you login on your nimbuzz account you will be able to receive voip calls on your TPad number. 5. Once you are done with the configuration part, you'll be able to receive calls on your softphone or nimbuzz. But still you have not got your USA based phone number. For that point your browser to ipKall signup page, here you gotta fill a form to get your US based phone number. 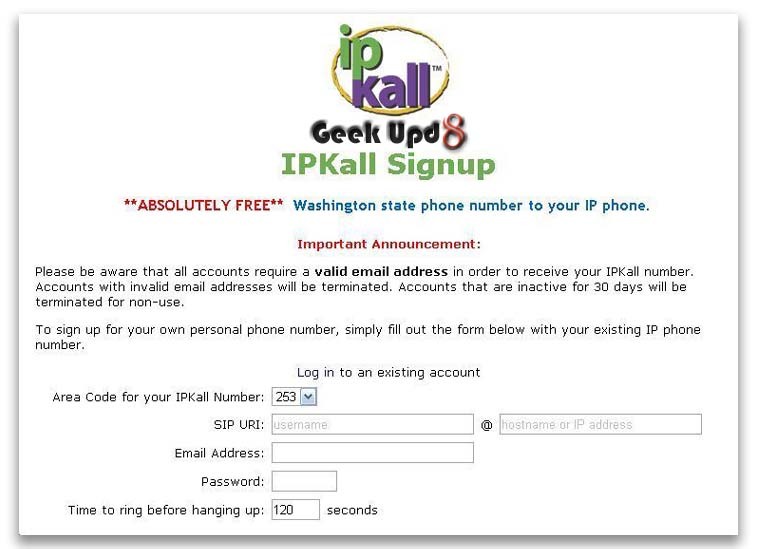 ipKall gives you choice to select the US state of whose number you would like to register for yourself. It is as easy as making an order for pizza. The image shows the sign up form that you are required to fill up. 6. Configure your ipKall account with the settings given in the table above. Save the settings and you are done. Now enjoy and your chat on Nimbuzz with your friends on various IM's and don't forget to answer calls made to your USA based number. You can let us know , whether you liked this article in the comments below. You might get alternatives to article as well, but we keep posting the services that are actually working. there are various sites for free USA based nuber using vonage,asterisk and altworx etc. these all are good voip service providers. ipkall needs sip uri, what is that for tpad? You can't use ipkall without a sip number, and here tpad is the sip number provider. thanks, what is sip URI for tpad? Ipkall asks for that when registering. any alternative solution of ipKall? btw thanks for the info on blog..